Want to share your own experience with us? 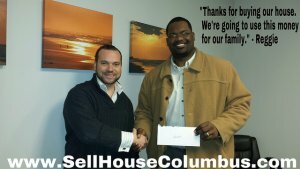 Send us a note to let us know what working with Sell House Columbus has been like for you. Featured on Fox 28 ! We close FAST and we are FAIR! 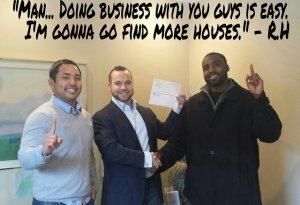 I recently sold a home to RJ Pepino and his company. He stated at the beginning of the transaction that he was a “cash buyer”. 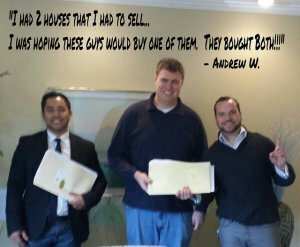 He was true to his word and we closed on the property within 60 days of the start of our negotiations. As the Pastor of Church of Perpetual Promises located on 1337 East Livingston Avenue, Columbus, Ohio, I Pastor Barbara Johnson highly recomended RJ Pepino at RP Properties, to all that are interesting in selling houses that they need to sell in a timely manner. Business relationship was graciously adequate and appreciated in time that was allocated to complete this transaction. Again we say Thank You. I had purchased my property as an investment and immediately following I could no longer make the payments because I lost my job. I had good credit but could not catch up what was owed. I spoke with Jeff and he was a huge help. 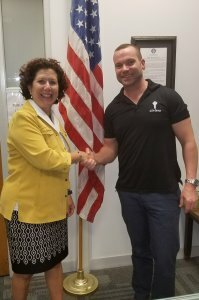 He worked with my lender and ended up buying my property and getting me out of my situation. I am very grateful to have found your website. Thanks a million! I got a call the next day…. The people on your staff and very responsive. I submitted my information and I spoke with someone the very next day. I received a fair cash offer and was relieved of my burden quickly. 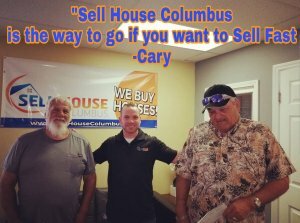 Your company is very professional and I would recommend anyone that needs to sell quickly and hassle free to give you a call! It was good for me to come in contact with Dave…I am so happy I just do not know what to do. I submitted my information on your site about selling a house. The very next day, your local investor called me and arranged an appointment the following day. Two days later, I had an acceptable offer, a contract and a deposit! Thanks! 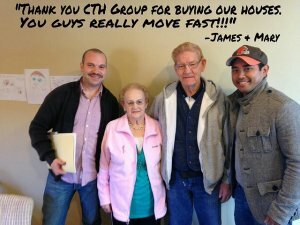 They saw the value in my house….very seamless transaction. I cannot say enough about these guys…best way to go. No curve balls at all….and nothing was misrepresented. Take properties as-is… wonderful through the closing process. Was able to close in 11 days. Was looking at making major renovations….and that is where Dave came in.